I’ve been to hear William McIlvanney before at Aye Write where he came across as charismatic and delivered moving readings. So when I saw that he was appearing at the Bloody Scotland International Crime Writing Festival in Stirling I jumped at the chance to see one of Scotland’s finest contemporary writers again. 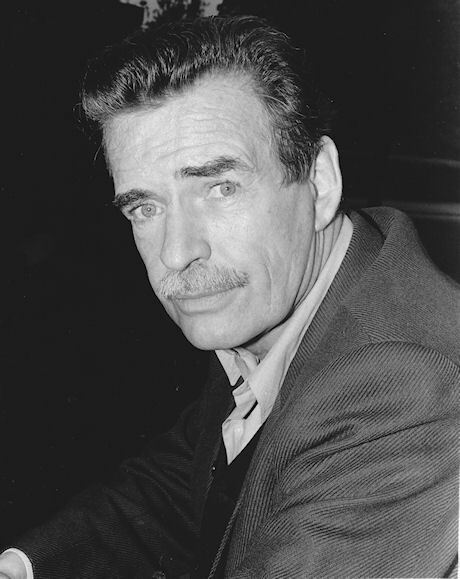 The event was billed as, ‘The man who began it all ’ as McIlvanney is credited with being the man who created the ‘tartan noir’ genre and can lay claim to being the godfather of crime writing in Scotland. 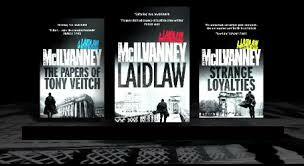 McIlvanney is back on the publicity circuit since Edinburgh-based publisher Canongate relaunched the author’s Laidlaw trilogy after discovering his classic works were out of print. A surprise element of the event was when Jenny Brown, his new agent, announced that the Saltire Society was to award him with the Andrew Fletcher of Saltoun Award for his long-standing contribution to Scottish literature. It was an added bonus to be in the audience for this news and to hear McIlvanney’s humble appreciation of this great honour. One of the reasons why I admire McIlvanney and feel he deserves this award is that his working class roots are at the heart of his work which is something I aspire to do in my own writing. And yet I’m ashamed to say that I’ve yet to read any of his novels. I don’t normally read crime fiction but I must add Laidlaw to my mountainous To Be Read (TBR) pile. Although at the event, it didn’t matter that I, or my best pal, Veronica hadn’t read any of his work yet as we both felt that we could’ve sat all day listening to McIlvanney’s quick-witted banter. His anecdotes of growing up in Kilmarnock are very funny and touching at the same time. After reading an excerpt from Laidlaw, McIlvanney also treated us to a piece called Zooistry which you can find on his website which hosts a variety of essays on diverse topics under the banner of ‘Personal Dispatches’, described as a “haphazard record of experience, feeling and thought . . .” In Zooistry, his take on how our society’s relationship with pets has changed over the years touched a nerve with Veronica and I who both treat our dogs like family members rather than domestic animals and we laughed and cringed at the same time. It might seem weird to rate McIlvanney as a writer I admire when I’ve never read any of his books. 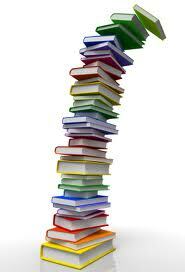 Have you been to see an author without reading their books? Do you feel guilty that you have writers on your TBR list who you feel you should’ve read years ago? 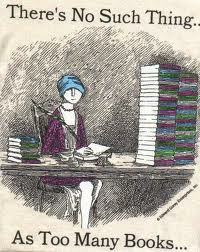 My name is Helen and I’m a bookaholic. There are worse addictions to have and it’s a fairly inexpensive and harmless enough obsession. But it is a problem. The reason being that I keep buying books when I’ve still got a humongous To Be Read (TBR) pile to get through and unless I lock myself away for the next year or so, I’ll never reduce the mountainous stack of books on my bedside table. My book fetish has become even more out of control recently and I blame Twitter. I’ve been on Twitter (@HelenMacKinven) now for a year and a half and was wary of entering the murky waters of social media. But I dipped my painted toe in and once I realised that the water was not shark infested, I began to relax a bit and engage with other like-minded folk who loved books too. 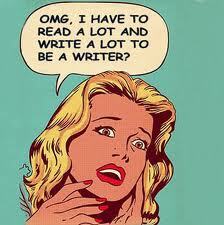 Many of those that I follow on Twitter write blogs on their own writing or review books. 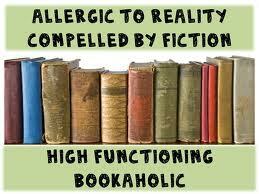 This provided me with a never-ending supply of book recommendations to feed my addiction. I could get a quick fix within minutes on Twitter and before I could stop myself, I’d be hitting the ‘add to basket’ button on Amazon. But what makes me chose one book over another? Obviously, taste is subjective and just because my best pal likes to read sci-fi, that doesn’t mean I’d ever consider anything with wee green men in it even although I originally come from Bonnybridge, allegedly the UFO capital of the world. I’m not a fan of crime fiction either but I make an exception for Kate Atkinson’s Brodie series. And much as I also suffer from being a shoeaholic and have more handbags than I could ever need, I’m not interested in fluffy chick lit either. Then there’s the book every woman seemed to be talking about. Listening to my pals, I feel as if I’m one of the few women on the planet who hasn’t read 50 Shades of Grey and I don’t ever intend to! 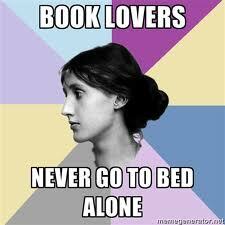 I’m also one of the few folk I know who doesn’t own a Kindle. I appreciate all the benefits but I still prefer a ‘tree’ book rather than an e-book and as an avid book festival goer, you can’t get a writer to sign a Kindle. A friend (who shall remain nameless to spare her blushes) swears by her Kindle as the best way to read erotica without anyone else knowing. It’s understandable as who would want to be seen on the train reading a bodice ripper? But I did fall victim to the old cliché of judging a book by its cover when I dismissed Me Before You by Jojo Moyes because of its girly pink cover only to later read it after numerous recommendations and found it to be a far deeper story-line than the artwork suggested. 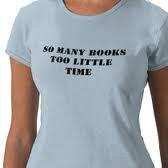 And there are some books that I’ve been told I MUST read but haven’t enjoyed at all. I used to force myself to finish a book even when I hated it but no longer beat myself up and abandon it early on as life is too short. The most recent example was Lanark by Alasdair Gray. It may well be a classic in Scottish literature but it did nothing for me and I’m not ashamed to admit that my wee brain couldn’t cope with the deep and meaningful concepts. As a writer of contemporary Scottish fiction aimed at female readers, I tend to choose books in the genre I aspire to be published in so I read and enjoy writers such as Janice Galloway, Jackie Kay, Anne Donovan, Laura Marney, Isla Dewar, Maggie O’Farrell to name but a few. Writers are often given the advice to write the book you’d want to read so that’s what I’m aiming to do. EL James need not worry about her status as queen of erotica! 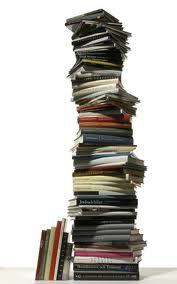 I’m a bookaholic and proud of it. Are you? 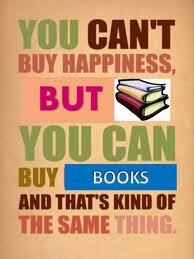 What makes you chose one book over another? I’ve mentioned previously that Reading Like a Writer by the aptly named, Francine Prose was one of the best set texts from my MLitt course. It taught me how to have a better appreciation of what I read but the one downside is that I now find it hard to switch off my writer’s eye when reading a novel. This means that I’m constantly analysing the characterisation, pace, POV, structure etc and failing to lighten up when I’m supposed to be reading for pleasure. I wish I could buy the body to go with the T-shirt! The result of this critical approach is that I’ve just given up on my 4th book in a row. My reading habits have changed over the years. I’ve always been an avid reader but for some unknown perverse reason, I made myself keep reading a book until the end whether I was enjoying it or not. I doubt if I’m alone in suffering from this affliction but somewhere along the line, I had an epiphany (just for the record, there were no angels involved or speaking in tongues, and it wasn’t after a few large voddies) that life is too short and my ‘to-be-read’ pile is already too high to bother sticking with reading books I don’t like. This new ruthless approach has got even tougher in the wake of a house move and the knowledge that my TBR pile would either have to be read quickly or packed and carted off to my new abode. Several books had been gathering dust on the TBR pile for various reasons, and many had made it on to the list due to being classed as a book I felt should read (but who says so and why should I care?). The first one to be tackled was Lanark by Alasdair Gray. This book is hailed as a modern classic, Glasgow’s Ulysses, but I’m not embarrassed to admit that I just couldn’t get my head round it. The semi-autobiographical parts based in Glasgow appealed but the surrealism of Gray’s vision of hell was far too sophisticated for my wee brain. The next couple of books will remain nameless, let’s just say I might cross the paths of these writers in the future and I don’t want to have to run and hide from them if I dared to air my feelings publicly . The queen of ‘tragi-comedy’ writing. After a hat trick of failed read throughs, I went for a safe bet. Even although I rarely read crime fiction, I love Kate Atkinson’s novels in the Jackson Brodie series, I really enjoyed Human Croquet and rate Behind the Scenes at the Museum is one of my all-time favourite books. The only one of her books I’d still to read was Emotionally Weird, so I felt sure that I was on to a winner, but I’m sad to say that for the first time ever, Kate let me down. For my tastes, the book seemed too self-consciously ‘literary’, with no plot to speak of involving unlikeable caricature characters and in no way lived up to my high expectations. So I’m on to number five, with my hubby breathing down my neck to reduce the Everest proportions of the TBR whilst thrusting a packing case under my nose. 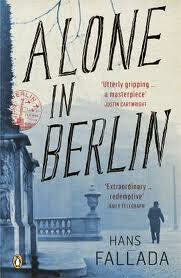 I’m quietly confident I’ll go the distance with this one, ‘Alone in Berlin’ by Hans Fallada, partly because I’ve got an interest in the Nazi regime of WW11, the city of Berlin and a love of novels based on true stories (which pander to my cynical nature). Do you have a book that’s a permanent fixture on your TBR pile? Do you stick with a book until the end? Do you have a cut-off point? 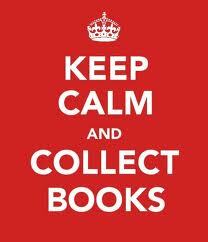 What makes you throw your book in the charity bag or even at the wall? And what makes a book worth packing to take to a new home? Try telling that to my hubby!